June was a busy one for us. Not only did we attend Avixa's InfoComm conference, the largest event in North America focused on the Pro-AV industry, we also recognized our Senior Systems Engineer, Shaun Crossen's 25th work anniversary. We were excited to raise our glasses and celebrate Shaun's successes with he and his family. Shaun is an invaluable member of the Shanahan and New England Hearing Loop Team. He has helped build the company from a primarily local pro audio shop to a leading audio video and hearing loop integrator serving all of New England. Over the years, we have watched his kids grow and it was enjoyable to have them there, now as adults, celebrating their father. table with the capabilities to wirelessly connect to any web collaboration application. The Mercury combines all the must-have conferencing and collaboration tools in one easy to use device, enabling people to work together regardless of location or conferencing application. Another stand out technology is Shure's MX910 ceiling microphone. This mic uses eight separate lobes to capture sound accurately. The browser based control software used provides an intuitive user interface to manipulate the lobe configuration, mix settings, and preset templates. This software has the capability of configuring multiple microphones with one tool, so having multiple microphones is no problem. Shure, in the spirit of collaboration, suggests Crestron as a third party that offers a preset controller to deliver a high-quality AV conferencing experience. The sibling product that Shure offers is the MXA310, a conference room microphone that sits on a table. Its ability to cancel out fan and white noise is an impressive feature. Both are great for different style rooms and different types of audio. 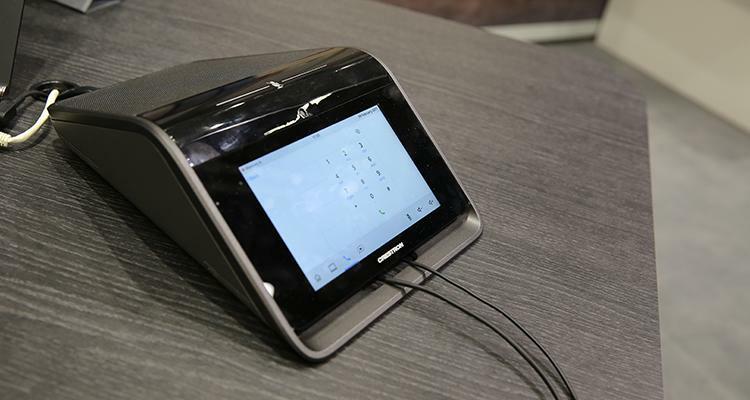 Screen Innovations proudly displayed their impressive Zero Edge Pro screen. 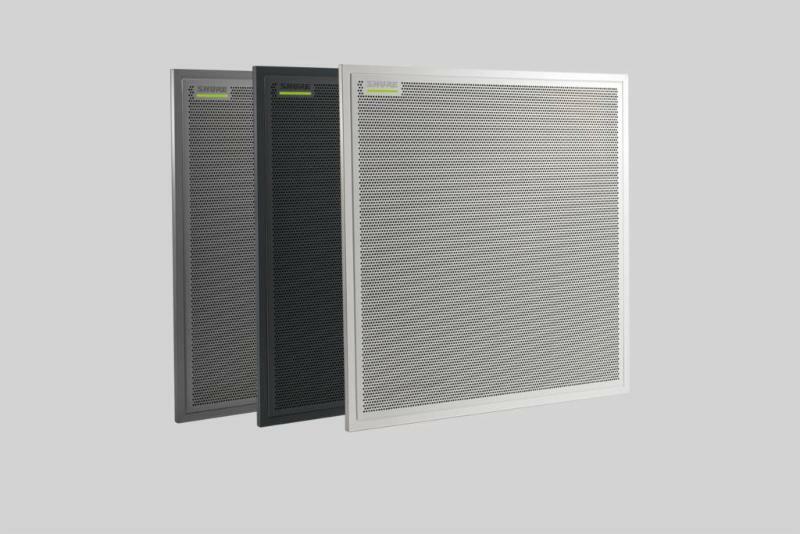 These customizable, hand built screens make color pop and are very effective in high ambient light environments. We are happy to say that we were the first to install one of their truly innovative screens at Church of Emmanuel, a local house of worship in Foxborough, Massachusetts. It was another successful year at InfoComm. It is always exciting to see what new products are on display. Even with a packed and exhausting schedule, it is definitely worth the trip to learn about the products and technology that continue to inspire us. For more information about the products featured here contact us at info@shanahansound.com or 800-786-1553 And oh, yes, if you see Shaun, wish him a Happy Anniversary!